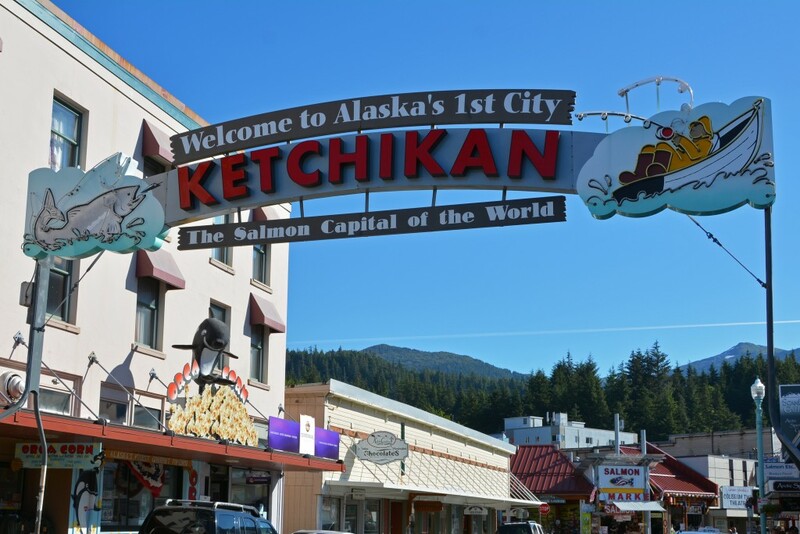 Ketchikan, Alaska is known for being the salmon capital of the world! 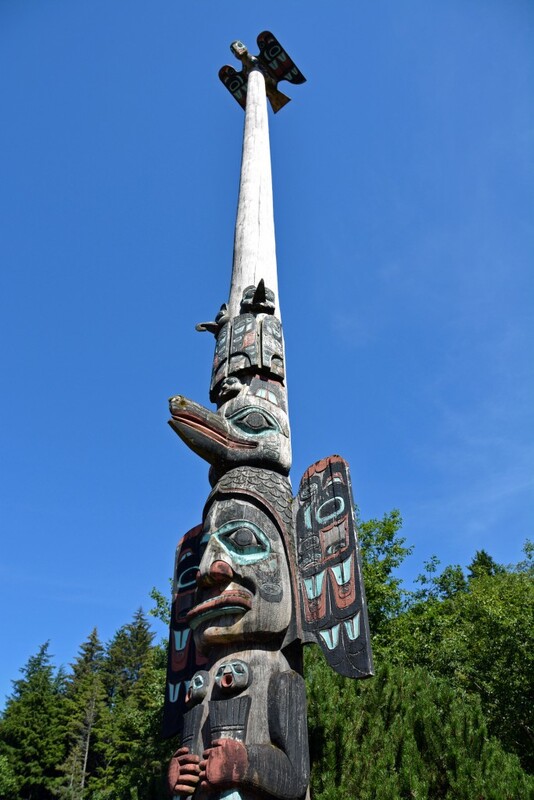 It’s also famous for its Native American Totem Poles. 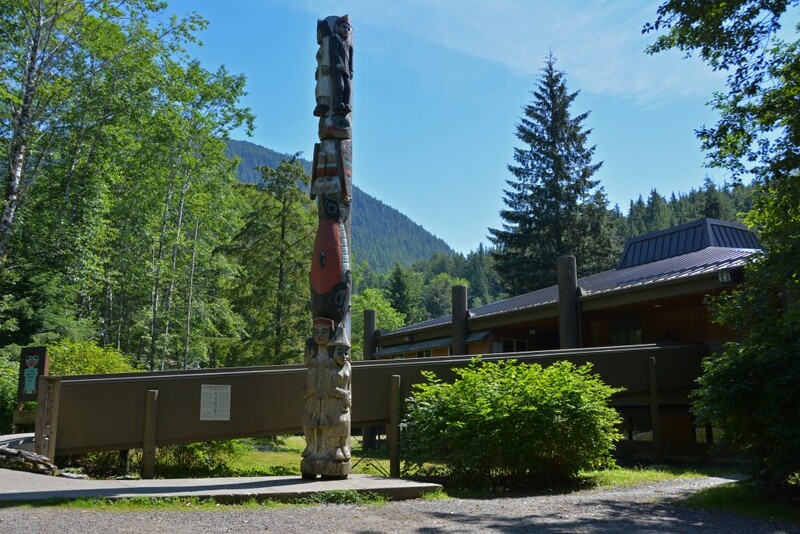 Located near the entrance to Creek Street is the Chief Johnson totem pole, carved from a single western red cedar log. 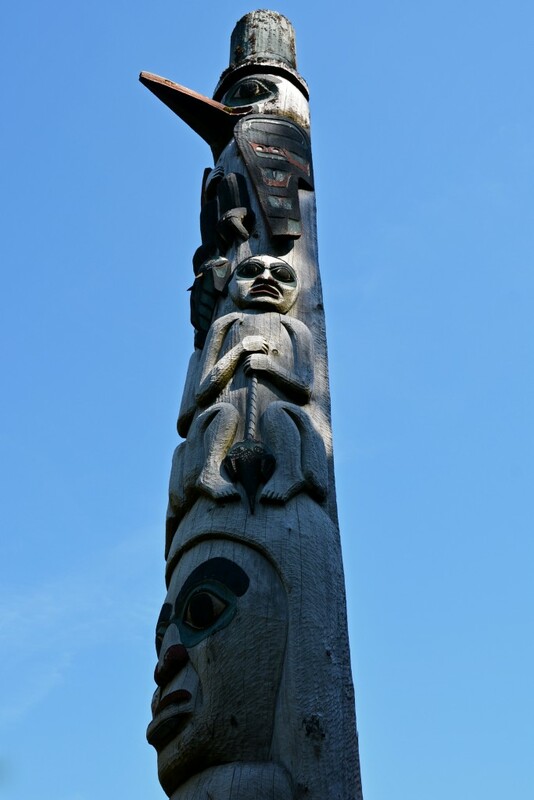 This 55-foot pole is actually a replica and depicts the legend of Fog Woman and the creation of Salmon. 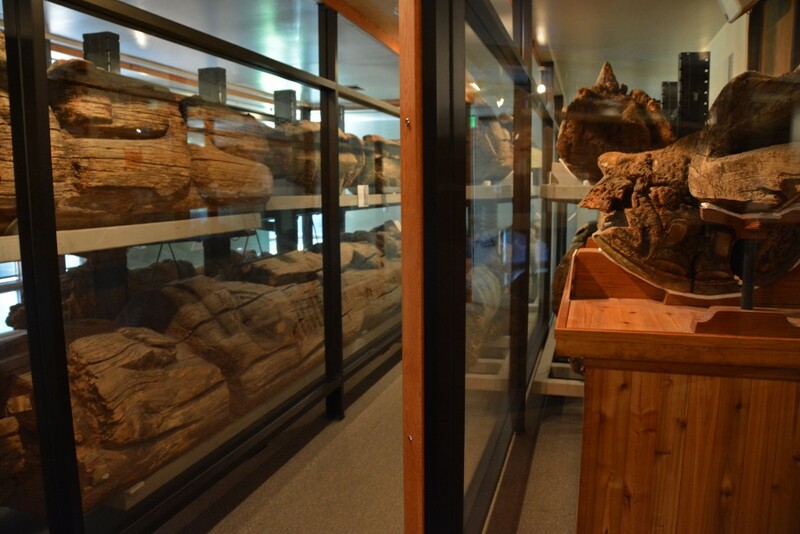 The fabled Kadjuk bird towers at the top of the pole. 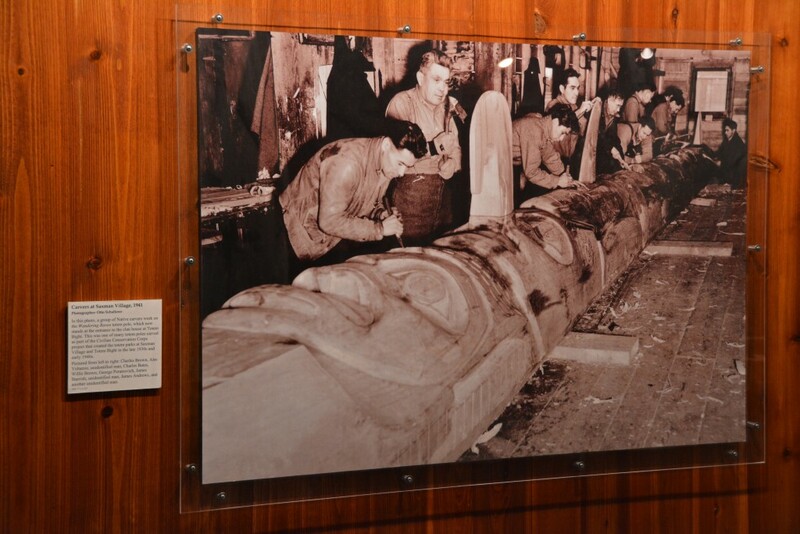 The original carving, which can be found inside the Totem Heritage Center, was raised in 1901 where it stood until 1982. 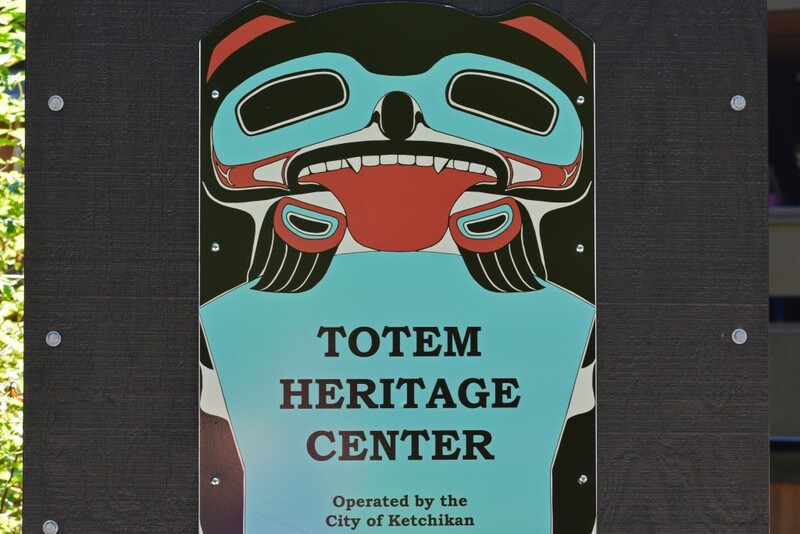 The Totem Heritage Center is located a short (free) shuttle ride from downtown. 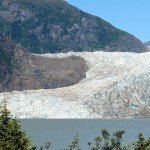 (Shuttle operates May through September only). 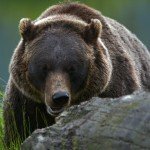 If you decide to walk from downtown, it will take you approximately 15-20 minutes to get to the center. 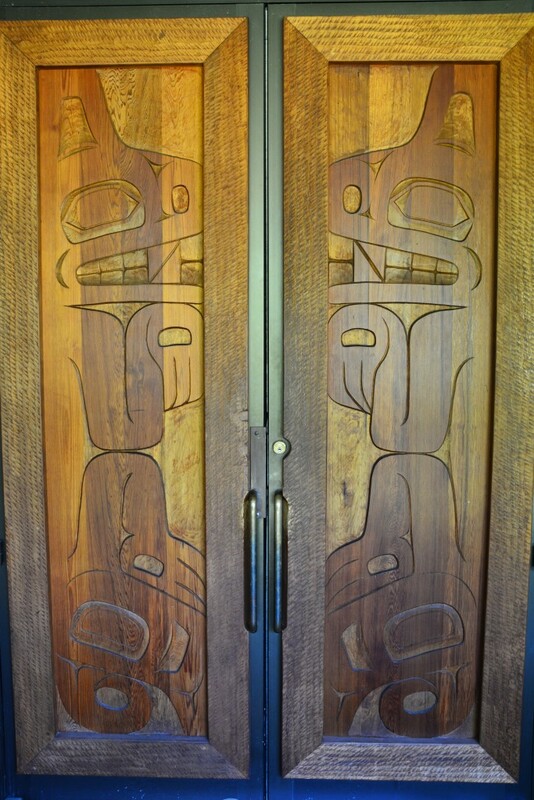 Admission was only $5 to get in to the heritage center, so we figured we’d check it out. 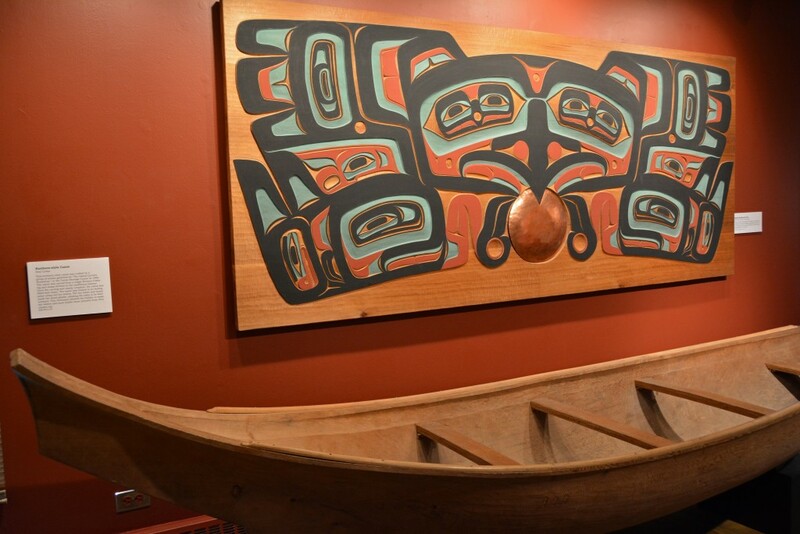 Here we learned about the history, tradition, and process behind totem pole carving. 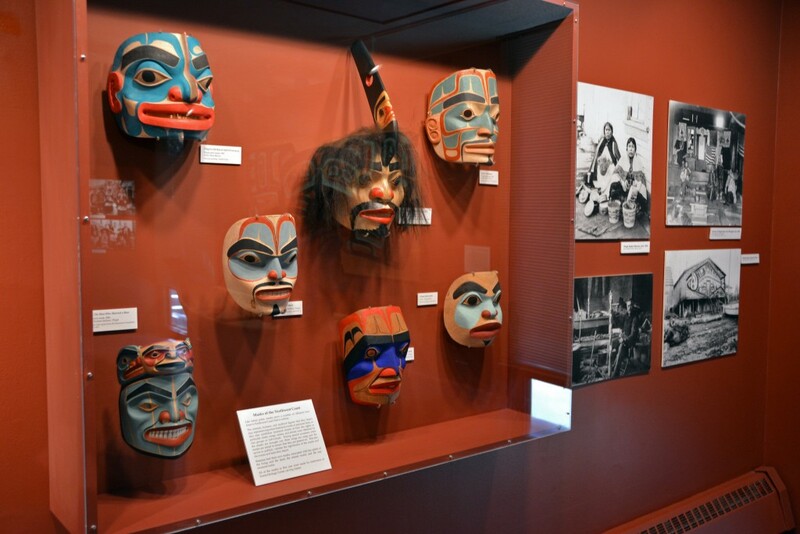 …but also artifacts, masks, tools, & more! 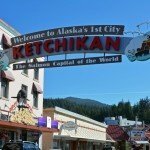 Since Ketchikan has the largest collection of Native American totem poles in the world, this is certainly the place to visit if seeing these carved pieces of history is on your list!